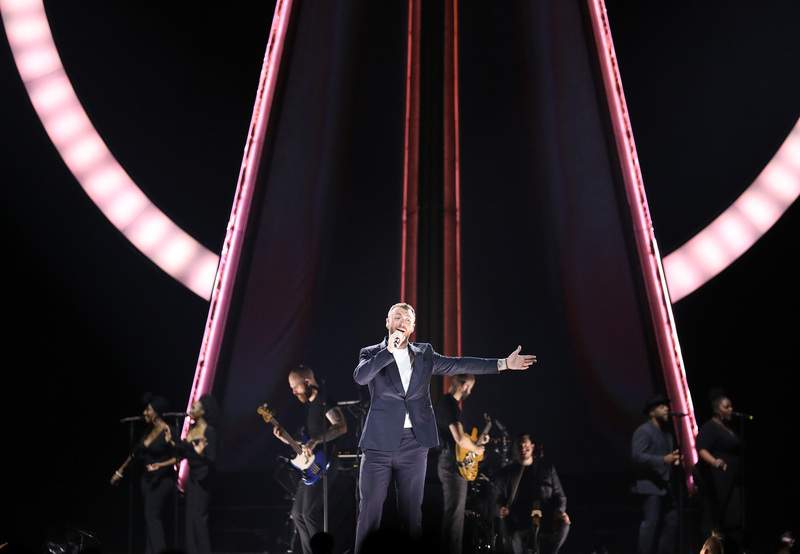 It was one of those leave-it-at-the-door, live-in-the-now, forget-it-all kind of nights with Sam Smith on Wednesday at Rogers Place. 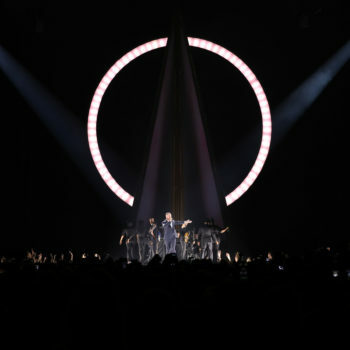 The British singer-songwriter, who rose to fame in 2014 with his debut album The Lonely Hour, is still celebrating the release of his second album with The Thrill Of It All tour by paying tribute to the magic of the musical experience. No sadness, just the beauty of the sound. 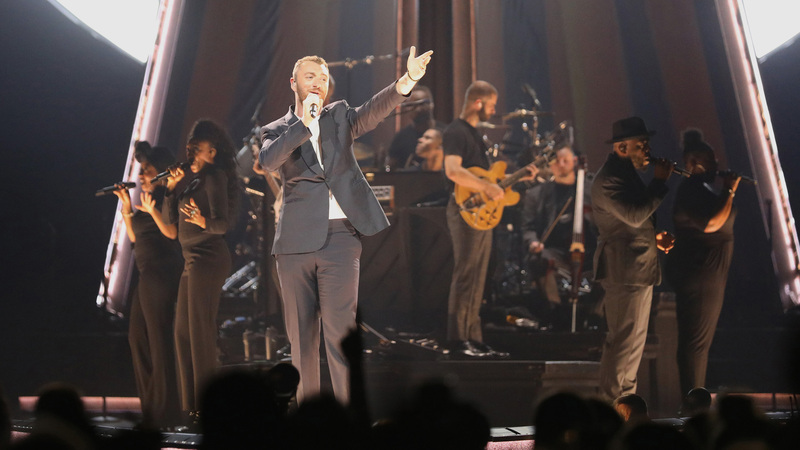 “I’m very aware my music is a bit depressing,” Smith said to the excited crowd at Rogers Place. “We’ve been working really hard to make sure tonight makes you feel good, and not [expletive]. It was, indeed, one of those special nights. Powerhouse singer Beth Ditto brought her raw voice and alternative roots on stage to heat up the crowd. The former Gossip frontwoman showed off her dynamic and energetic sound, paying homage to one of the most recognizable female voices with a sharp rendition of Aretha Franklin’s “(You Make Me Feel Like) A Natural Woman”. 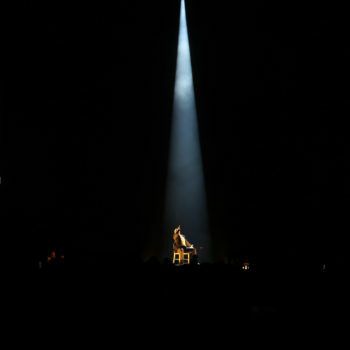 Smith appeared beneath a single spotlight at the front of the star-shaped stage that stretched deep into the sea of attendees on a single chair to start off his show and delivered a powerful rendition of “Burning”. “One Last Song” introduced his extensive and talented band to the audience, while delivering on his promise for more feel-good tracks. 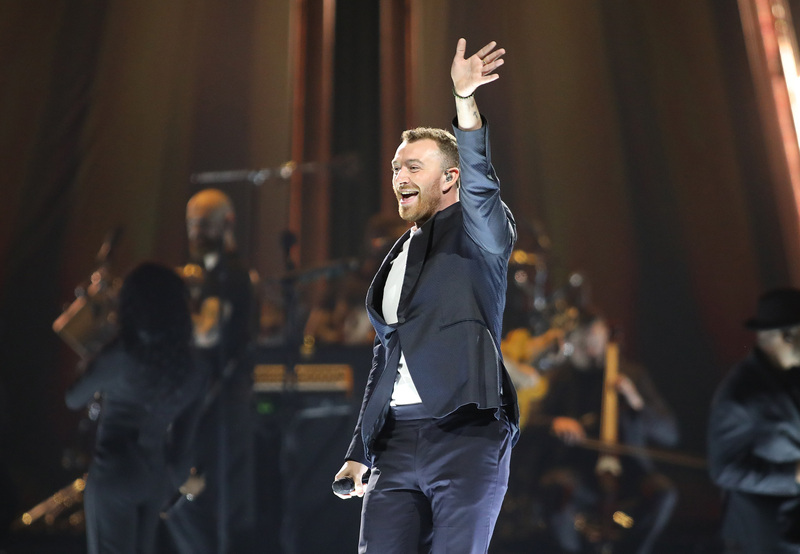 “We did sound check this morning, but I didn’t realize how big this room was,” the 26-year-old Brit said of the arena’s acoustics. 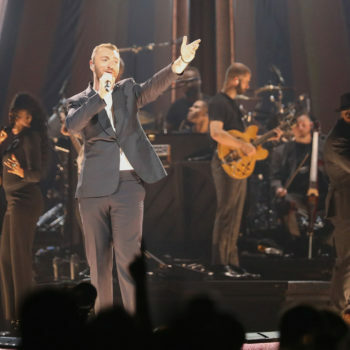 Smith delivered his longest monologue of the night praising all walks of life before transitioning with the crowd to “Lay Me Down”, the song “that started it all” for the multi Grammy-award winner. 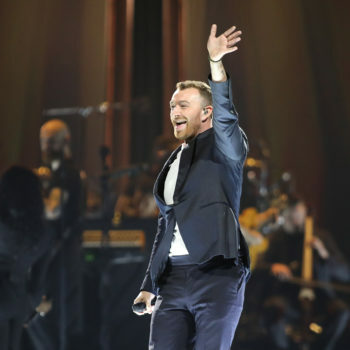 The singer-songwriter brought out his Hollywood side to treat the crowd to his “Writing on the Walls” hit, famous for its place in the opening scene of the James Bond series’ Spectre. 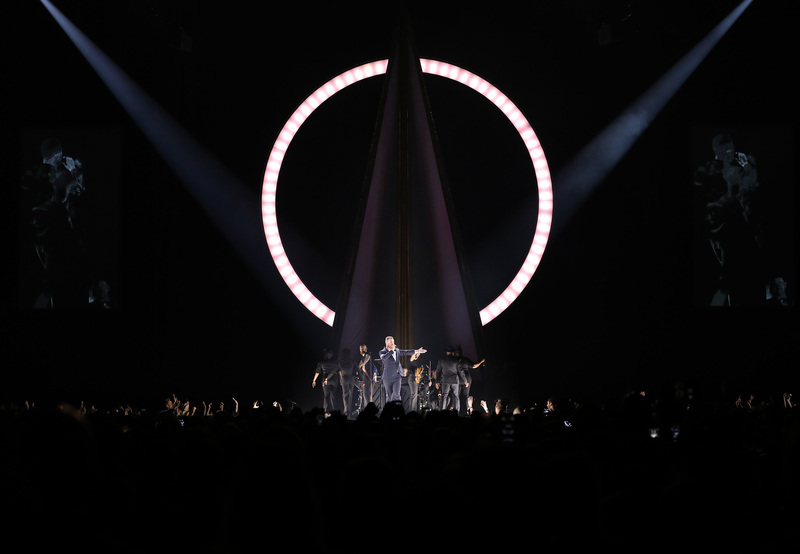 An open and inclusive show brought out the best in both Smith and his fans, carrying a theme of acceptance and belonging all night long. “If you’re proud of who you are tonight, let me see your hands in the air!” Smith screamed before a thunderous response. 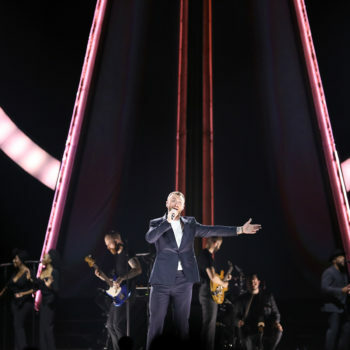 The Thrill Of It All’s finishing track “Too Good at Goodbyes” would truly be too good for the night to end on, with Smith returning atop a gold spiral staircase for an encore kicked off with “Palace”. 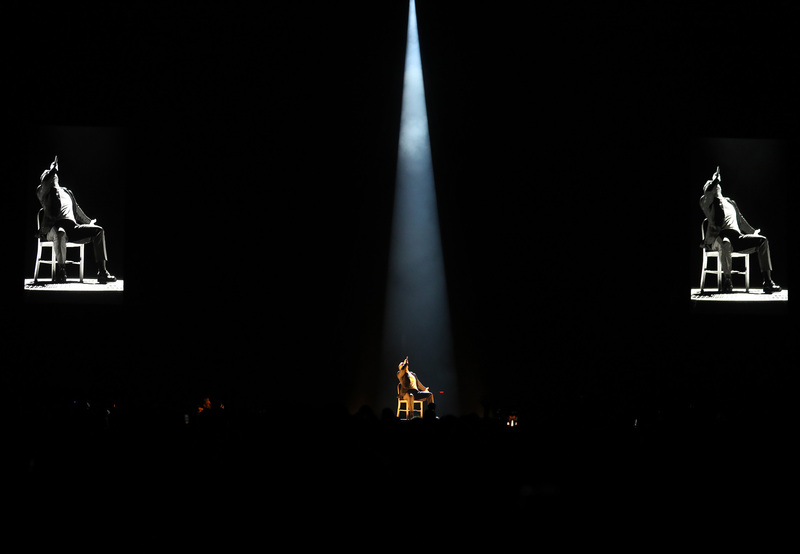 The songs “Stay With Me” and “Pray” were the final performances of the night, with Smith among the crowd, giving fans something to hold on to during what could be a long wait for the star’s return to Rogers Place after his extensive North American tour wraps up tomorrow night.